This morning's post is by CARE for AIDS intern, Anna Wilke. If you know me, you probably know how much I love the band Johnnyswim, and it’s a lot. Johnnyswim just came out with a new song called “Ring the Bells.” I loved the song right off the bat, but about the two hundred and seventy-third time I listened to the song, one specific line stood out to me. It says “mercy won’t be rationed here” and it got me thinking, how often do we do this? How often do we let our pride and sinful nature get the best of us and neglect to show others the mercy we were shown in Jesus? How often do we lose opportunities to show the world the overwhelming love and extravagant mercy of our Father by withholding mercy from the people in our lives who need it most? Mercy is a display of God’s abundant nature. Mercy triumphed over judgment when Christ died for sinners, to rescue us from the condemnation we surely deserved. That same mercy triumphs still as our Holy Father looks at us and sees the faultless and unblemished image of His perfect Son. It was and still is the most extraordinary display of mercy in history. We are sinful people and we absolutely do not deserve the goodness and love our Father shows us, but each and every time we stray He relentlessly calls us back to Him and shows us incomprehensible grace and mercy. When we understand the wildness of God’s never-ending mercy, we will be compelled to live it out in our own lives. If we believe what the Bible says is true, we are made in the image of God and called to live like it in the world. It should change the way we view others and how we treat them. We all mess up daily and more often than not, we know when we have. Most of the time we don’t need someone else to tell us we have made a mistake, so why do we feel like we have to correct others when they mess up? Jesus, the one we are supposed to be modeling our lives after, didn’t throw the Bible at people and embarrass them when they were wrong, so why should we? 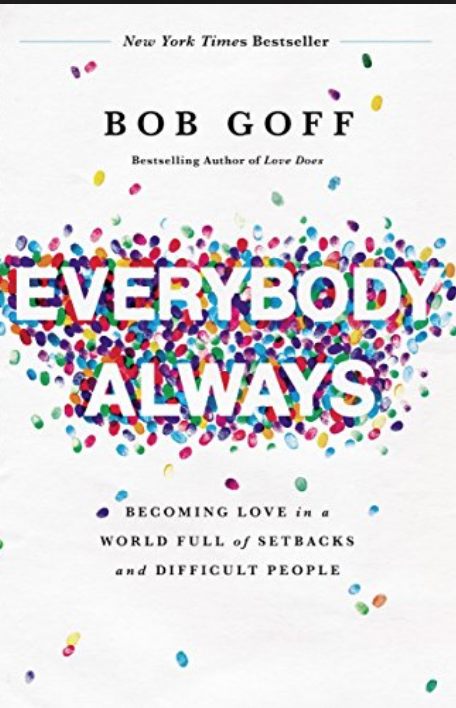 Bob Goff talks about the perfect example of this mercy in his new book, “Everybody Always.” When Mary visits the tomb after Jesus’ resurrection she thought Jesus was the gardener and rather than call her out or correct her, Jesus simply said her name, “Mary.” He simply showed her mercy. Should we understand Biblical doctrine, know what the Bible speaks to the world, and seek to live our lives for our Father’s glory? Absolutely, but we should be showing mercy as well. So the next time someone you know messes up, don’t correct them or make them feel bad about it, show them a little glimpse of the mercy God shows us every day. Don’t ration your mercy, give it away freely just as our Father abundantly gives it to us. Older PostIs HIV actually still a problem?